Support Staff — Surgical Associates P.L.L.C. Known for their experience, skill, and commitment to individualized patient care, our surgical support staff are key members of our patient care team, and major contributors to the outstanding continuity of care for which we are known. 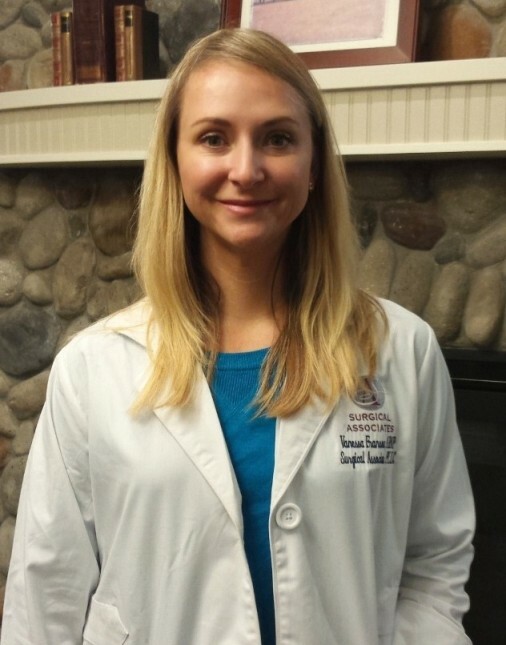 Since graduating From Seattle University's School of Nursing, Vanessa has worked as a Surgical 1st Assist, joining the team at Surgical Associates in late 2016. Prior to her medical career, Vanessa worked as an Expedition Leader and Mate with American Safari Cruises bound for Alaska and Mexico. Her duties included establishing and implementing safe practices such as emergency medical response protocols. In addition to her medical and educational responsibilities, she also obtained a USCG 100 Ton Captain's License. Vanessa is a genuine, kindhearted practitioner, bringing warmth and compassion to patient care.